We have great news to Share you. Today we made a change to Leadership team a Motto Systems. 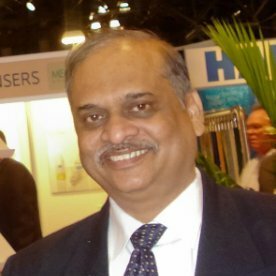 Mr. Chandan Kumar is Joining CEO of Motto Systems. He will be driving Motto Systems to the next level, building on the Solid foundation and Momentum achieved by the Motto Systems team. We would like to welcome Mr. Chandan Kumar as he takes the helm as CEO of Motto Systems today, to establish Motto Systems as the Premier Software Product Development Company. He brings a great mix of leadership, inspiration, operational experience, technical breadth, and passion for employees and Customer care. He was a long-term member of the Dr Reddy’s Management team. And over the past few years, he has been the CEO of Several Pharma Companies. We are lucky to find someone that has such a perfect set of skills for this position. Thank you so much for your continued support as we charge ahead to build a business focused on delivering the best services to our clients. GMPPro is a software product specifically designed and developed for the life science and pharmaceutical industries to manage day to day compliance requirements. GMPPro has been specifically designed to meet the requirements demanded by regulatory bodies. It provides the ability to control every aspect of the pharmaceutical processes, activities and operations. 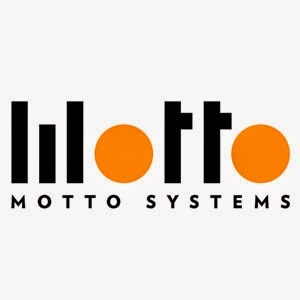 Motto Systems Founded by a group of technologists with over 50 years of collective experience in software design, development & software services, Motto Systems focuses on providing end-to-end solutions in various technology areas across the product cycle from requirement assessment through final acceptance and maintenance. With unwavering focus and commitment, the company has adopted a distinctive business approach, coupled with a creative drive to provide flexible solutions tailored to our client’s specific requirements. Apart from addressing underlying industry processes, they enable businesses to streamline their working approach in a way that brings about greater business efficiency and better results. Our team of professionals is skilled in adapting to situations working with our clients in a meticulous manner from concept planning to design, development to testing and implementation to live launch. Harnessing their expertise and experience, they respond thoroughly and quickly to the situation and ensure project delivery on time and budget. At Motto, we believe in embracing excellence and leave no stone unturned at getting the job done to perfection. Apart from substantial experience in a range of industries, we have offered solutions that brought manifold benefits for our customers. Our software professionals are well versed in different facets of software technologies and systems with a strong sense of grasping your needs and the ability to translate your business requirements into functioning software. >From Design to Coding, Testing, Debugging and Maintenance, they deliver a superior customer experience while increasing efficiencies and profitability. Similarly, our Web and SEO professionals through a combination of creative excellence and out-of-the-box methodology innovation deliver high quality output. Our whole approach is to combine diverse expertise in business strategy, technology, usability and design to provide real value for money. We take great pride in the fact that we are today a successful and preferred IT Partner for end-clients diverse as owner-operators, multinational corporations, local authorities, government departments and non-profit organizations and in various segments including Pharma, Mining, Fabrication & Erection, Education, taxation, construction and automobiles. With Motto Systems, customers get the best mix of high quality, cost and time savings and reliable service well supplemented by state-of-the-art technologies that adds value to your requirements.